Visit Prague is the city guide that makes your stay in Prague easy, affordable and enjoyable! Bugsy’s Bar is certainly one of the best cocktail bars in Prague, and that’s why it is pretty difficult to get a table when you get there after 10pm during weekends. If you get there one of these weekends when it’s getting packed, you may be offered to wait a little, close to the bar, before being able to move to the next available table. Ideally, you should call and book a table (even 30 minutes before your arrival), keeping in mind that you’ll need to show up before 10pm. If you’re planning on coming later, just hope that you won’t have to wait too long. The bar that was first to serve Mojito in the Czech Republic (in 1995) has now become an institution on Prague night scene and will celebrate its 20th anniversary beginning of 2015. The bar offers a wide variety of cigars and you’ll have the opportunity to enjoy for instance a Partagas or MonteCristo (Prague is one of these cities in Europe where it’s still legal to smoke in bars). The bar offers the usual Mojitos, Caïpirinhas, Cosmopolitans or Black Russian, but also some of their own creations such as the Bugsy’s Rose. You’ll also notice that Bugsy’s offers a great selection of Champagne bottles (more than a hundred!) starting at approximately 80 € for a Moet & Chandon, and including exceptional bottles such as some of Krug or Dom Pérignon « millésimes ». 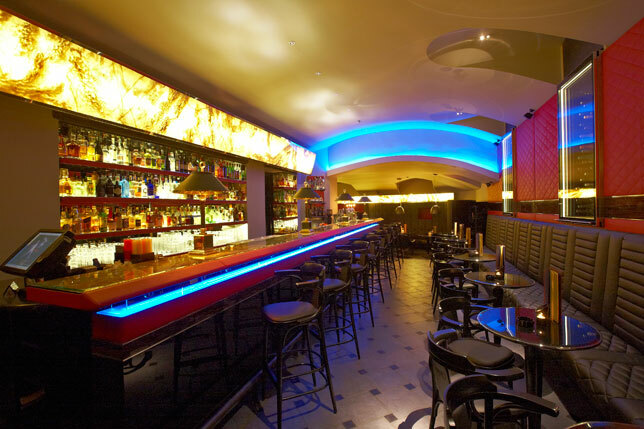 Even though it was one of the first cocktail bars to open in the Czech capital, Bugsy’s has always focused on keeping a high standard, the bar being completely renovated twice since they first opened. As far as staff is concerned, you’ll talk to people who are cocktail experts and know exactly what to serve you if you tell them what you like. You can get more details on Bugsy’s team page. This entry was posted in Bars, pubs, NIGHT LIFE and tagged bar, bugsy's, cigar, cocktail, Cosmo, Mojito, night, prague on December 6, 2013 by Nicolas.